We’ve been busy preparing the next version of Yurbi, and it’s going to be big. 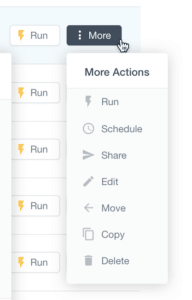 While we’re always updating Yurbi to improve its efficiency, there hasn’t been a design overhaul since v10 was released at the beginning of 2015. 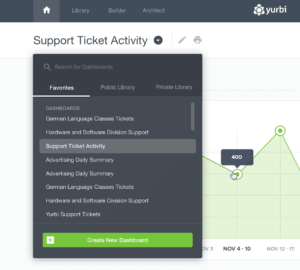 That’s about to change, and we’d like to share some of the new features you’ll be able to utilize when Yurbi v11 launches. Software changes rapidly as does the style of user interfaces that encourage a more seamless user experience when working with software. We’re updating the overall style and usability of the Yurbi interface to leverage our favorite practices in interface design. Get ready to enjoy a modern UI that’s deeply customizable without being confusing, and sophisticated tools that make reporting, sharing and analyzing data easier than before. Data has always been the focus in Yurbi, but in v11 we plan to make it the star of the show. We’ve trimmed a lot of fat from Yurbi’s interface in order for data to pop, thereby making it easier and faster for you to locate the information you need. We’ve minimized the “chrome (or borders)” of Yurbi, reducing the amount of space on the header so you have a larger, cleaner window space to work with. We’ve received a lot of feedback and requests for certain features, and we built v11 to incorporate as many user ideas as possible. For example, we’ve added a global dashboard filter that lets you easily update all of your widgets at the same time. We’ve also added saved filters, which lets you save multiple filter views so you don’t have to go through the process of adding the same filter each time you need it. This concept of saving your favorite custom filters was influential in developing v11, and you’ll see it throughout Yurbi in the future, not just in dashboards. We’ve not only taken out a lot of clutter and noise from Yurbi, but we’ve removed cryptic icons and replaced them with intuitive icons that have text names. Not only were the previous icons confusing to Yurbi users, but we couldn’t clearly convey the purpose of each operation across multiple languages. With the multi-lingual support feature coming to Yurbi next month, each icon will now be easily understood, no matter the language. Common use cases have been optimized to be front and center. 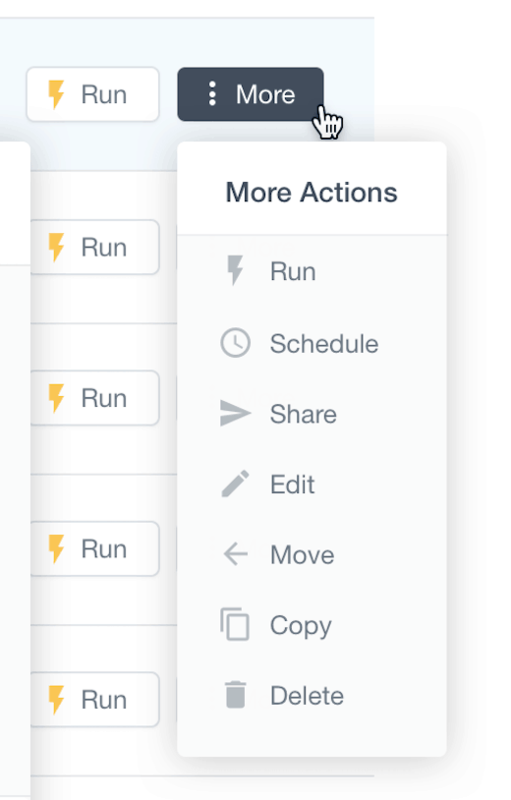 Dropdown and hover menus are now streamlined to include important actions within the menu itself. You can search for dashboards, select from a list of favorites, and even build and browse a set of private dashboards to choose from—without leaving the menu. Applying common use cases to menus is a theme that you’ll see throughout v11. We like customizable software, and we designed Yurbi so that you can incorporate your brand’s logo and colors on the header and footer of each page. Now branding and white label is even simpler; you don’t have to have the dual colors in your branding, you can focus solely on your brand’s main color. You can replace the Yurbi logo with a logo of your own creation, too. One of our most important design philosophies is incorporating user feedback to make Yurbi the best it can be. As we wrap the interface design stage on v11, we’re keeping our ears open to your comments, requests, and feedback. Is there a feature you’d like to see in the next version of Yurbi? Contact us—it’s a great time to include any suggestions you might have before we charge full steam into development. More information on Yurbi v11 is coming soon. Stay tuned to our blog for more details. Straight Talk Review: Segment vs Stitch Data vs Panoply; What’s the Difference?